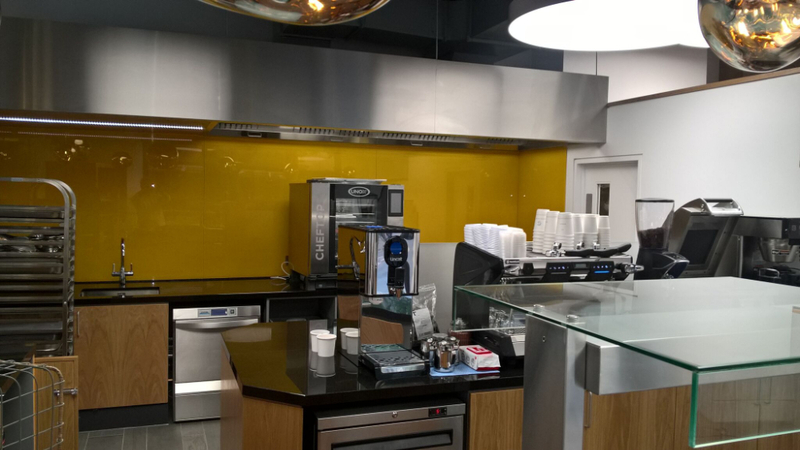 Ceba Solutions Ltd were invited to create a complete new catering facility for Halo’s new headquarters in London. 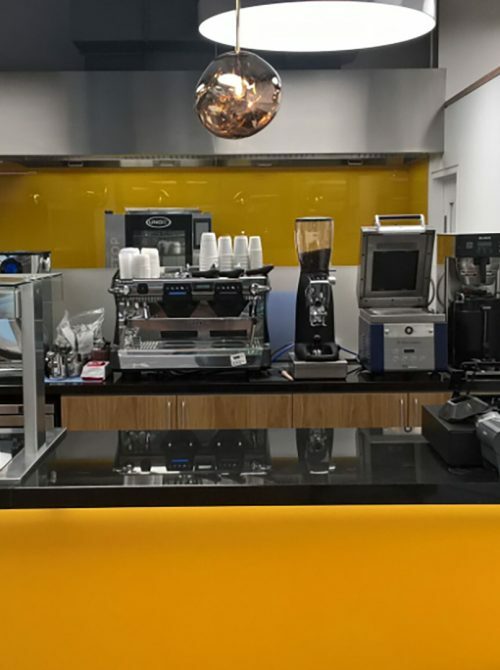 The build consisted of a new Cafe Bar design and associated equipment. The Halo building is very large and spread over 11 floors. The new Cafe Bar is allocated on the ground floor, made up of various levels and ceiling heights. 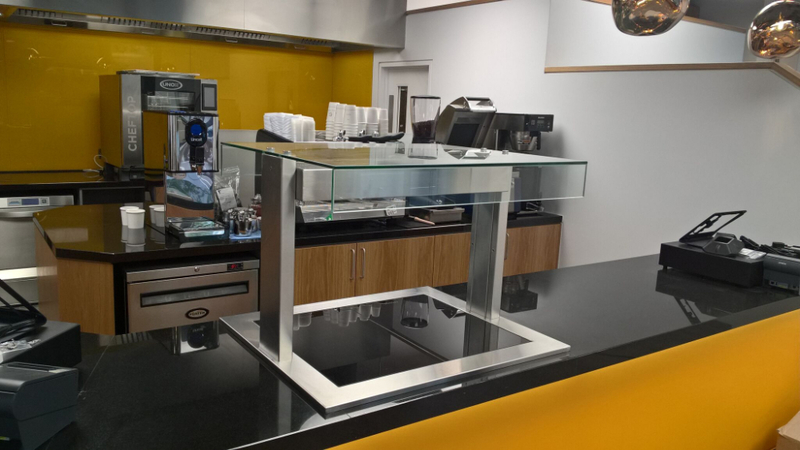 Due to the area provided, creating the perfect Cafe Bar design was difficult due to space restrictions. 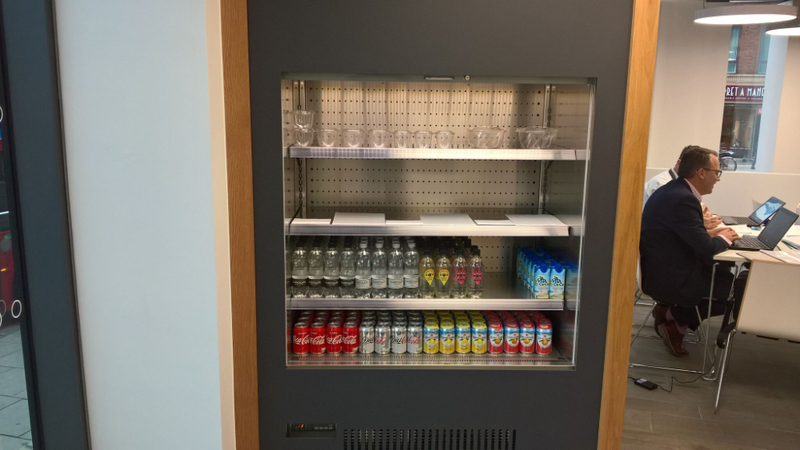 We consulted with the client to ensure the catering facility to be created would enable them to achieve their menu offering. We needed to work closely with the building architects to achieve a modern cafe bar design and functional space within their guidelines. 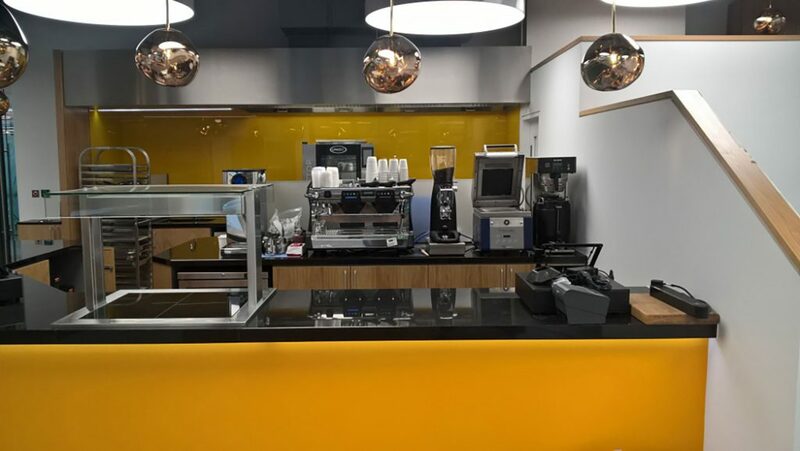 The rear of the cafe needed to be utilised as the cooking area, meaning Ceba needed to provide an air extraction canopy and flexible cooking equipment with preparation and storage areas.